Last week we discussed the tactic of email marketing templates, so the general idea should be familiar terrain by now. This week’s lesson delves further into the world of templates to help you optimize your marketing efforts. 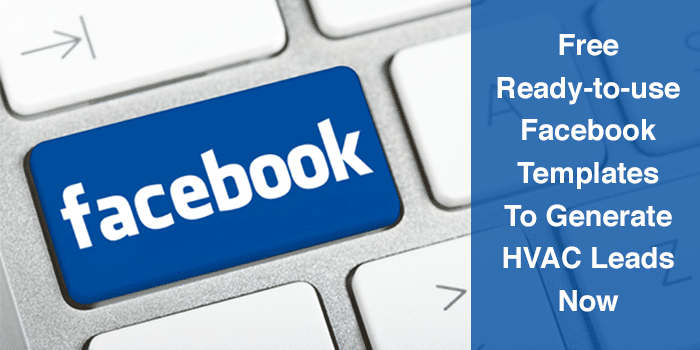 Only now, instead of email, we’re turning our attention to Facebook in our quest for HVAC leads. Graphic design templates on Facebook have a number of advantages over email templates (like the ones we covered last week). For one thing, they’re far more colorful than an email, and stand a better chance of capturing the viewer’s attention. They also tend to be shorter than an email, meaning your message has a better chance of staying in your prospects’ minds. I’ll provide you with three ready-to-use graphic design templates, along with three promotional sale templates to advertise your HVAC business. And I’ll explain exactly how to share your promotion with family, friends and coworkers to maximize your effectiveness. One final point. Make sure to include a link to the contact page of your website, so people can get in touch with you immediately. 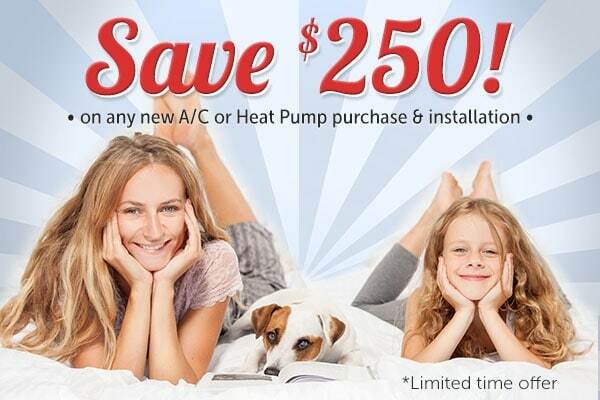 Promotional text: This week only, you can SAVE $250.00 on any new A/C or Heat Pump purchase and installation with [insert company name]. Click here to save now! [Insert link to contact page]. 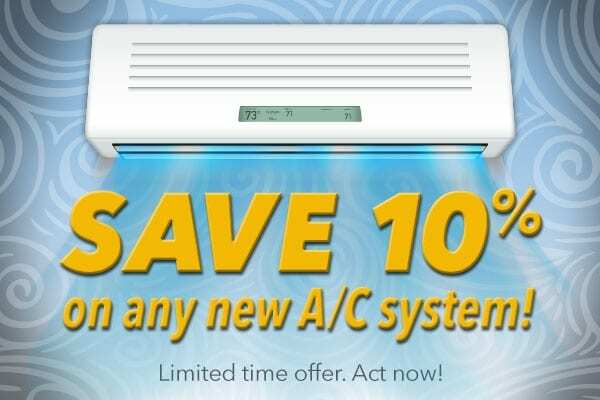 Promotional text: Replace your A/C with [insert company name] by [insert date] and save 10%! Click here to save now! [Insert link to contact page]. The final step is to post your promotion on Facebook. But before you do, make sure your settings are such that your promotion is visible to everyone (as opposed to just your friends). 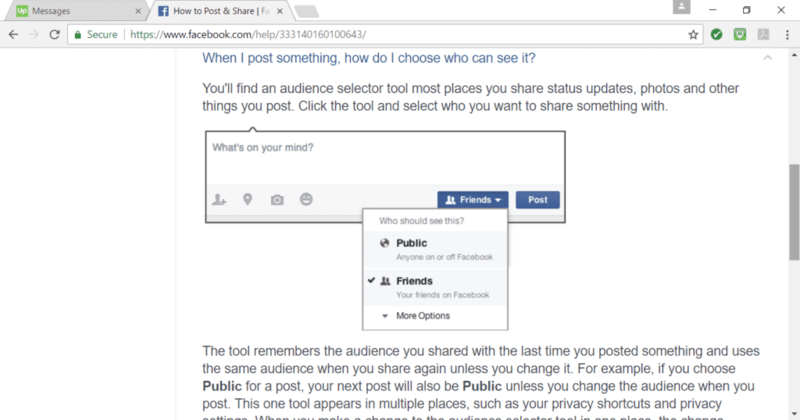 To do this, simply click the drop-down menu next to the “post” button, and make sure “public” is selected. Congrats. You’ve officially entered the game of social media marketing to generate HVAC leads. And I can’t imagine it took you more than five minutes. With last week’s lesson on email templates, and this week’s wisdom about Facebook templates, I’m sure you’ve come to love this strategy as much as I have. Again, the magic lies in its streamlining effects. You get so much more done in so much less time. If you really want to be successful with generating HVAC leads, you have to start thinking along those lines. And that’s what I’m here to teach you. Stay tuned for more tactics to get you to the top of your game. But if you simply can’t wait, you can find a wealth of 24/7 marketing expertise at www.GorillaWebTactics.com.